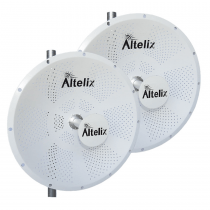 The Altelix LCW6NMNF is a coaxial Lightning Protector that operates over the frequency range of 5-6 GHz making it ideal for 5GHz 802.11a applications. 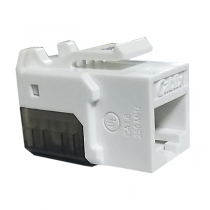 This unit offers DC-Short Quarter Wave protection with high surge power handling multi-strike capability. Electrical surges such as from lightning strikes occur at low frequencies outside the LCW6NMNF operating range. Much like a signal filter, these surges are diverted to the protector’s ground. 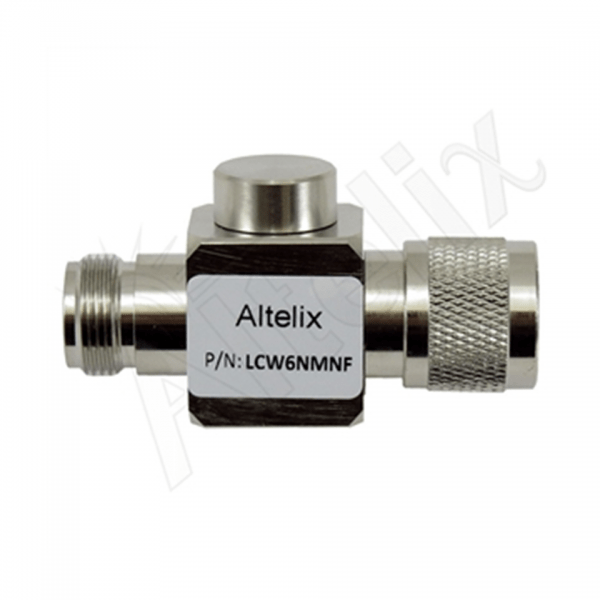 It features type N-Male to N-Female coaxial connectors. Insertion Loss 0.4 dB typ.